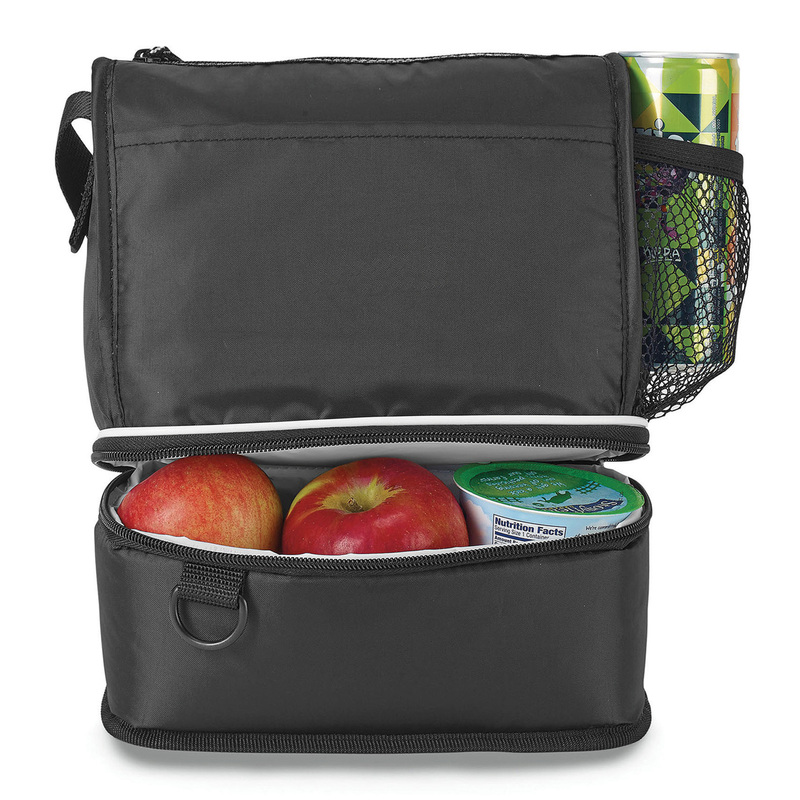 A comfortable lunch cooler bag to carry while travelling. Perfect for a range of applications! Bring it on vacation, to job sites, picnics, the beach, camping, and traveling, you name it. 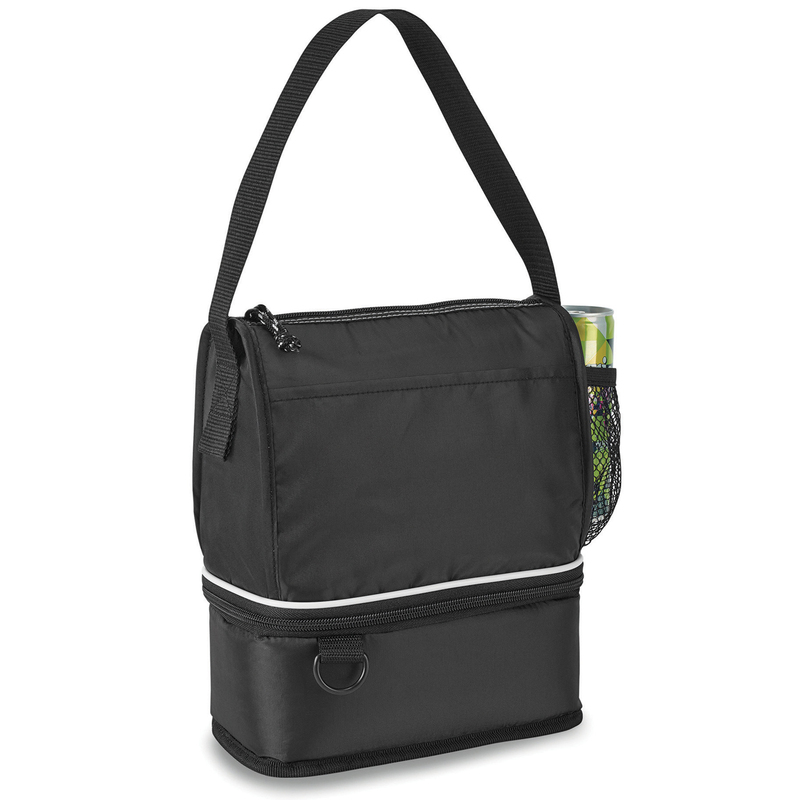 This practical lunch cooler bag works well anywhere. Its dual compartments allow you to separate different items into hot and cold areas. It has a 6 litre and 8 can capacity. It also features a front slash pocket, side mesh water bottle pocket, top grab handle, D-ring, top insulated compartment with thermal lining, PVC and Phthalate free, and a heat-sealed bottom insulated compartment with PEVA lining. This lunch cooler bag is manufactured from 210D polyester fabric. Keeps contents cool for long periods of time. Comfortable to carry & it is sturdy. Excellent for lunches, school, picnic, or travel.